Opposition leader Juan Guaido, who many nations have recognised as the country's rightful interim ruler makes declarations during a joint press conference with Paraguay's President Mario Abdo Benitez at the Lopez Palace in Asuncion, Paraguay, March 1, 2019. A USA -backed drive to deliver "humanitarian aid" to Venezuela through border crossings on February 23 met strong resistance from the Venezuelan government as President Nicolas Maduro believed the aid, mainly from the United States, is a smokescreen for a military invasion. At the same time, the UN Security Council rejected a draft resolution put forward by Russian Federation, which reaffirms the right of Venezuelan President Nicolas Maduro's government to coordinate aid deliveries to the Latin American country. Juan Guaido, recognized by many countries as Venezuela's president, said Thursday he would return to Caracas this weekend despite "threats". Speaking to reporters later about when Maduro might go, Abrams said, "We hope that it's as little time as possible". One factor slowing progress, he said, is that "clearly the support of Russian Federation and China. helps the regime", but the U.S. continues to make the point to Moscow and Beijing that they are "not helping themselves" with their support for Maduro. Venezuelan President Nicolas Maduro has ordered state oil company PDVSA's office in Lisbon to be relocated to Moscow, Vice President Delcy Rodriguez said on Friday, a move she said was created to help safeguard her country's assets. The U.S. draft resolution received nine "yes" votes - the minimum number required for adoption - and three "no" votes from veto-wielding Russian Federation and China as well as South Africa. Thursday's Security Council meeting is the third on the situation in Venezuela in just over a month due to the escalation of political tension facing the Latin American country. Indonesia, Equatorial Guinea and Ivory Coast abstained. The successive sanctions came amid an aid standoff in which the United States and other regional countries, in coordination with the Venezuelan opposition, declared a plan to deliver humanitarian aid to Venezuela. 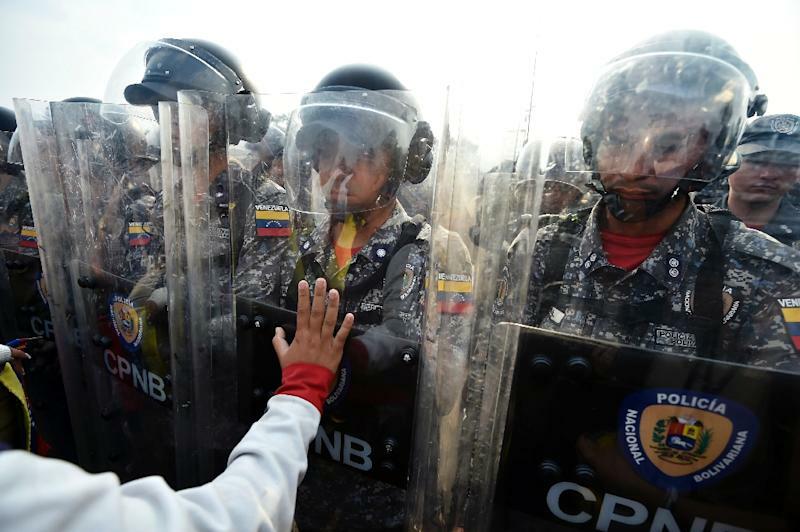 The U.S. draft resolution expressed "deep concern" at "the violence and excessive use of force by Venezuelan security forces against unarmed, peaceful protesters" and "recent attempts to block the delivery of humanitarian aid". If it had received nine votes, Abrams made clear the Trump administration would have vetoed it. The Russian draft, on the contrary, calls that global assistance should be provided with the consent of, and on the basis of an appeal by, the government of Venezuela. "Any act of intimidation or violence against the acting president, his family and his inner circle will be considered the responsibility of the Maduro regime", the ministry's statement said. "If there are threats to peace, those threats come from overseas".